Are Video Games the Perfect Storytelling Medium? Imagine you could live more than one life; What if you could be a warrior or a doctor, a policeman, an adventurer or an astronaut? How would you like to live the experience instead of only witnessing it? With storytelling in video games you are the main character of the story, everything happening in the video game, is happening to you. Experts believe that the high level of immersion could turn video games into the perfect medium for storytelling. It seems that storytelling in video games is the present and the future. That is not a new concept, of course, but thanks to the level of interaction a video game has, players become invested in the story, experiencing it in a powerful way, by living it. 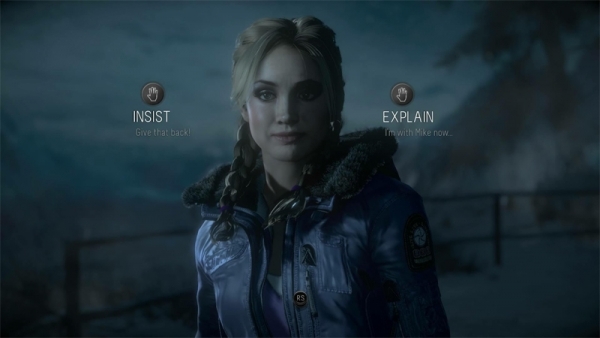 Games like Until Dawn or Telltale’s The Walking Dead are a great proof of that. Adding VR, we are looking at what seems to be a great recipe for incredible experiences: VR, video games and storytelling. It is pretty clear that interactive storytelling is becoming more and more part of video games and because of that a lot of questions arise. One question in particular seems to come up a lot: are video games art? No one doubts movies or books are art, and essentially those mediums have a lot in common with video games: they tell a story, entertain and transmit feelings. Why are those mediums considered art and video games aren’t? After all this time of asking that question, it’s also time, for a potential answer. Maybe we are facing a new concept of video games. Certainly, there will always be video games where the one main goal is having fun and not much more. And surely there are a lot of indie games with innovative game mechanics that only target the player to be captivated and have as much fun as possible while playing the game but do not target immersion or for the player to identify with the characters or the story, to live the experience. Mind you that captivating a player and engaging their attention by keeping them entertained and always having fun playing a game, to just have fun is quite difficult to do as well. We are in a new era where films are competing with video games to tell the best story. Games have an advantage though: You, the player, become the protagonist, you can choose what happens next – a bit of an unfair advantage, wouldn’t you say? 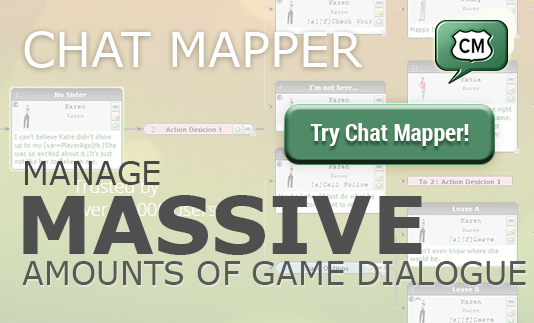 Try ChatMapper now and develop character storylines and entire stories for your games. You can read the full article How Video Games Have Become The Perfect Storytelling Medium by Tech Times.